Rembetiko -CLAN-SUD- por Patorita. Hechos de oido por Patorita. 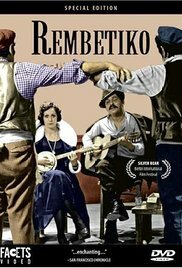 110 min [ ] - The story of a group of Rembetes, singers and musicians of the Greek equivalent to the blues, in the early decades of the 20th century, seen through the eyes of a young female singer.